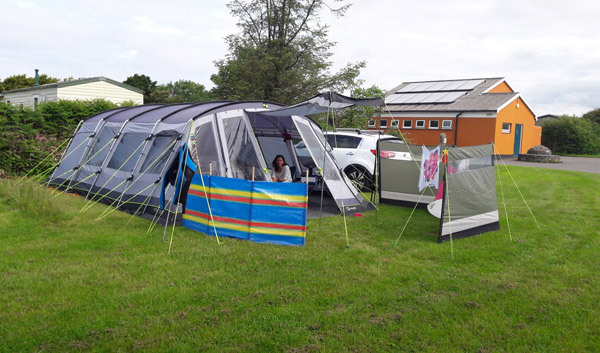 Situated in the heart of Poldark country, Tower Park Caravans and Camping in St.Buryan is midway between Penzance and Land's End on the the spectacular Penwith Peninsula. Miles of award-winning beaches including family favourites like Sennen Cove and Porthcurno are within easy reach and the village of St. Buryan is just a few minutes level walk from the site, with its 15th Century Church, post office, general store, garage and the St. Buryan Inn. There is a regular bus service to Penzance and via Porthcurno to Lands End and St. Ives. 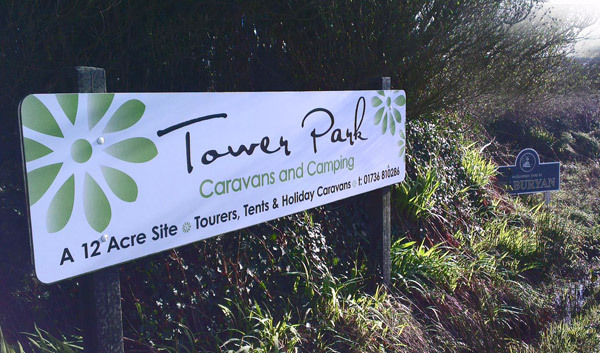 Perfect for families and activity holidays, Tower Park is divided into seven level grassed fields separated by trees and traditional Cornish hedges and provides large, sheltered grass pitches (minimum 10 metres wide) with and without electric hook-ups. Dogs are welcomed at no extra charge. WiFi access is free and available in the TV room and surrounding patio areas. Please be aware that due to our idyllic rural location broadband speeds may not be as fast as you are used to. Essentially the free service will allow you to send and receive emails, keep in touch via social media and carry out web browsing to catch up on the news, weather forecasts or find out more about local attractions. Our five static caravans all sleep up to 6 guests and feature a double and twin bedroom plus a pull-out double in the sitting room area. 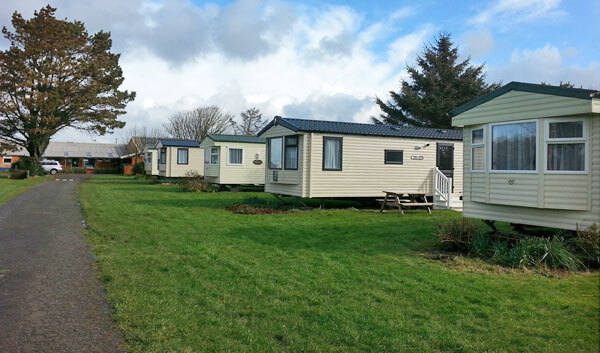 All have double glazing, well equipped kitchens, toilet and shower and some have gas central heating. Dogs are welcome by prior arrangement in some of the vans and discounts are available at certain times for 2 person bookings. For those holidaying with dogs a dog exercise area is provided. Please be aware that most beaches do not allow dogs between April and October but there are a few exceptions. There are also local kennels where your dog can board for the day.